A few last minute snags plagued Levitation mere days before the festival was set to kick off. Well, one snag really, that set everything else in motion: the two-day outdoor portion scheduled for Malkin Bowl in Stanley Park was moved to the Commodore Ballroom, pushing the doors back several hours and creating inevitable but significant overlap with the festival's scheduled night shows. Given the 19+ venue policy, absent food trucks, lack of sun, and the park artists now playing in a dark concert space during the sunny late afternoon, the festival took on a very different feel. Fortunately, the crowd and artists seemed indifferent to the last minute snafu, making the best of an out-of-their-hands situation. Enter SoCal revellers of grunge and punk, FIDLAR, who opened their pre-dusk set with synchronized screeching from the band members, eliciting thrown beers and a mini mosh pit within just minutes of having taken the stage. A quarter of the crowd — those rammed against the barrier and jostling for a prime spot — were diehards, while most of the others ended up pushing up out of curiosity, or simply trying to avoid a thrown elbow. 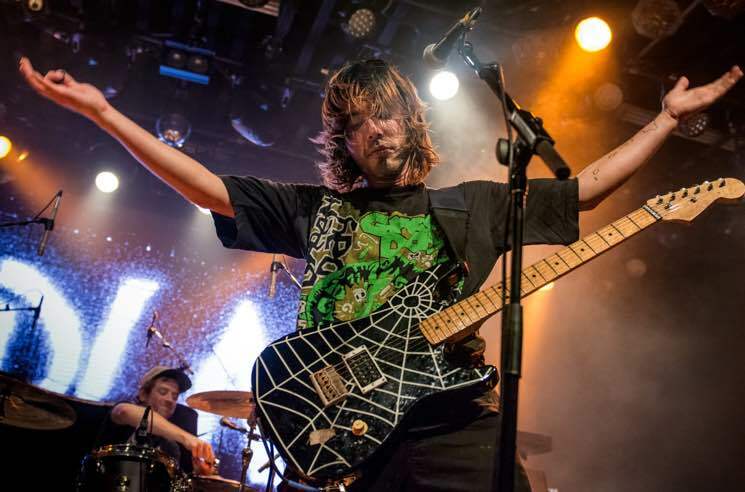 To their credit, FIDLAR engaged the majority of the room with their raucous output, with crowd surfers finally making it up into the air as the last of the stragglers came pushing in for "West Coast." Rolling into the last song of their set, singer Zac Carper had the entire venue sit down; you can just imagine what's on the floor of the pit at this point. A sea of once-aggressive bodies lay inert on the ground until the chorus of "Cocaine" broke out, and the crowd burst up and forward for a final send-off.